A free-range egg vendor from Oita, Japan has set up a stall within the basement grocery section of Isetan (1 Scotts Road). In addition to eggs, they had a few pre-cooked items available, which they sadly said that they could heat up in a microwave. 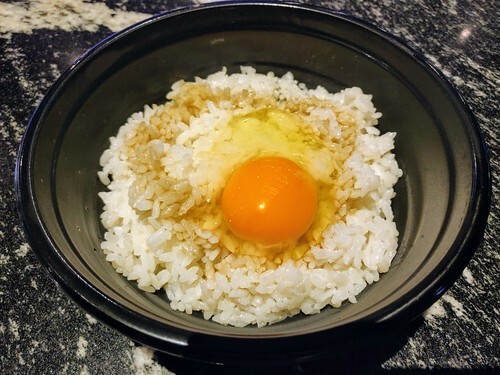 Naturally, I passed, but there was one simple thing that they could do on the spot: this tamago kake gohan, which I inhaled in seconds, even if I admittedly couldn't really tell the difference between this egg and any other ones.